Just a really quick card for Easter using From the Heart image for their progressive challenge. I'm here, but not really - if that makes any sense. Thanks to all for the well wishes for Jim recently. I'm still very hit and miss around here but will try to post a card ever so often anyway. He was released from the hospital and then ended up having to go back in for several more days. He's back home once again but things are just crazy busy taking care of him (and myself) and trying to get everything moving forward once again. There's just no way to get by everyone's blog every day right now but will be by when I can. Have patience with me for now. Thanks for stopping by........and thanks so much for your treasured friendship! No card today but just wanted to pop in here and give everyone an update on what's been going on in my life and let you know why you haven't seen my smiling face lately! Too long to really go into details but my husband was just released from the hospital yesterday after having some serious medical issues. The last two weeks haven't been a fun time around here at all. I'm extremely tired but hope we both bounce back soon. I'll try to get something posted soon and be by to visit everyone again. Don't give up on my just yet anyway. I've scheduled this post (and hope it goes as planned). I'm so sorry I haven't been around lately. The entire year hasn't been good and it just got worse last week. Life really threw us a curve ball this time. I'll be back to visit when I can. It's just pretty crazy right now. Scrapy Land Challenges is back once again and this time our theme is Spring/Easter. Be sure and play along for your chance to win. Remember to use one of the brands of dies that's found in the Scrapy Land store. 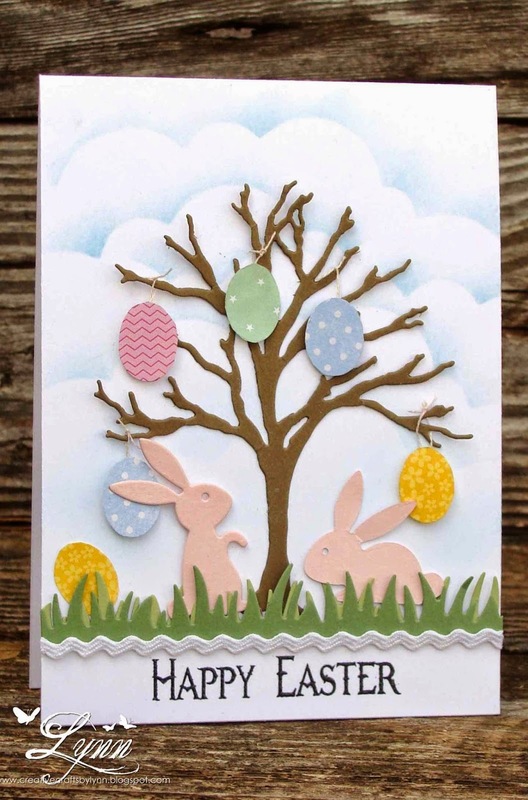 Spellbinders - Traced off inside of small oval die for eggs. Thanks for stopping by.....and check out Scrapy Land Challenges. 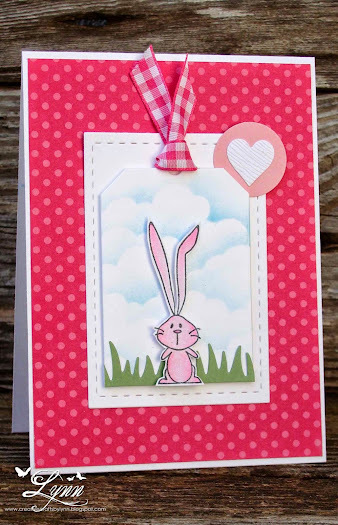 Just a quick and easy little bunny card for today! I love this rabbit! He's from Inkadinkado and I have no idea how he got in my craft room! You know what they say about rabbits though and all the multiplying they do, so I assume he's an offspring of a larger bunny somewhere. 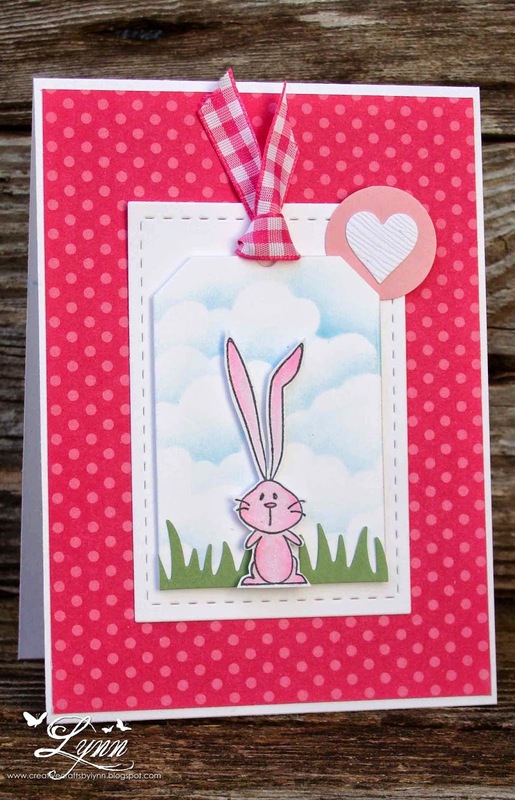 Some very bright pink polka dotted paper, a little sky sponging, ribbon, heart, and grass die - and he's done. l also used a tag die from Lawn Fawn but chopped it off a bit at the bottom. This is for Leslie's (The Crooked Stamper) challenge for this month. 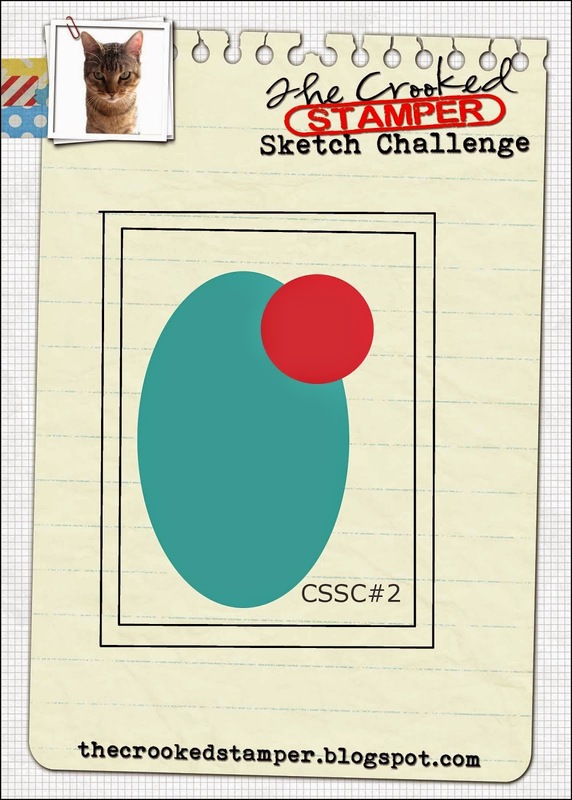 This is only her second challenge and she scored again with another wonderful sketch to follow. I changed the oval to the rectangle for my card. I'll also enter this is Pixie's Crafty Workshop challenge (snippets). So.....in honor of St. Patty's Day and all the green - and summer coming - I have a green card! She's colored in Copics and a flower die from MFT's added. The sentiment is from Hero Arts. Oh....and no, she doesn't have the measles! I used the colorless blender to give her some texture. I'll enter this in the challenge at QKR (Bring on the Green). This is a big time CASE from a card I saw recently in an online card class. My attempt (for what it's worth) and explanation will follow in a bit. First of all though.......it's time once again for the Scrapy Land Challenge! Our theme is Anything Goes! 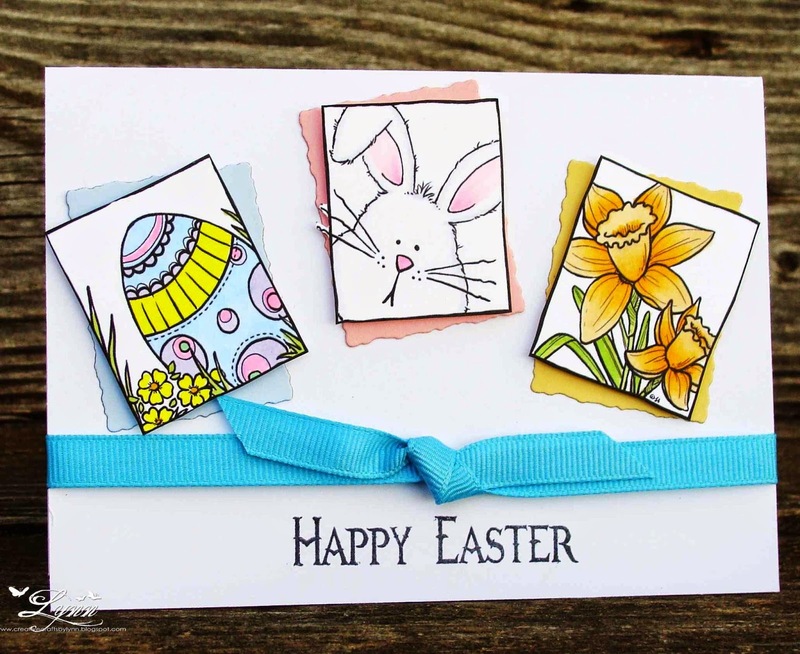 Come on over and join the fun and see all the wonderful inspiration from the Design Team! All you have to do to enter is to be sure and use one of the brands of dies that the Scrapy Land store carries. The winner will receive a great prize too. Now, on to my CASE of a card. This is so not me and just sorta got blobbed up a little but the idea was pretty cool. 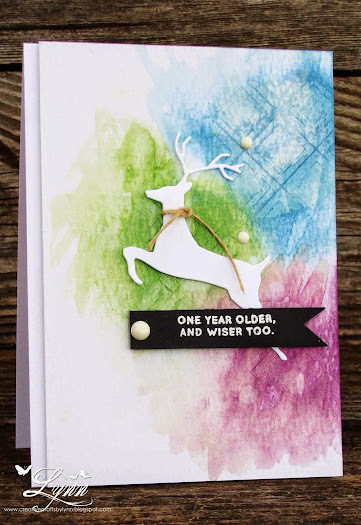 I used watercolor paper and stamped an image with Gesso and then water colored over the image. My problem happened when I used more of an outline image instead of a solid one so it really got washed out looking. The thought was there though! After that I die cut the Memory Box Leaping Deer and then added the white embossed sentiment to a strip of black card stock. The enamel dots were then added. Like I said, the idea was good anyway. That's it for today and thanks so much for stopping by.......Be sure and check out Scrapy Land Challenges now. Some of you are still buried in snow, so thought I'd bring a little sunshine in your life today. We're not exactly warm enough here in Texas for this type of activity, but it's coming soon - hopefully! 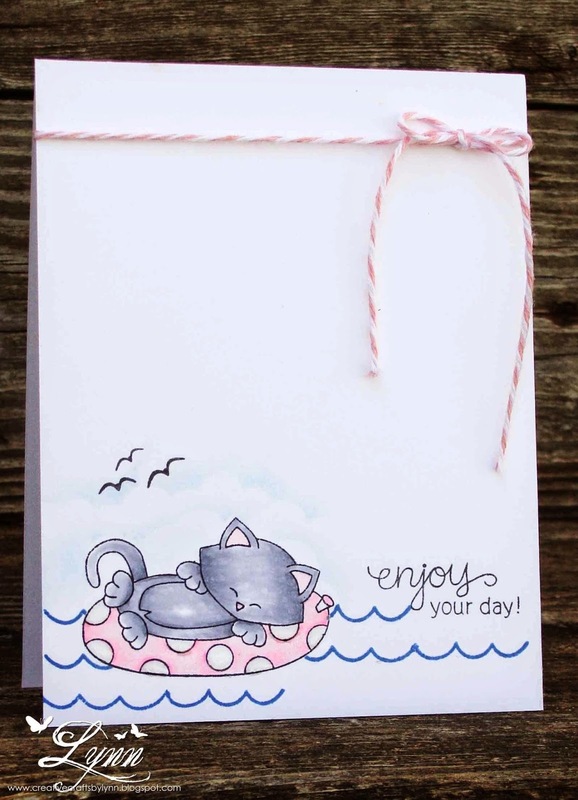 The stamp set I used is from Newton's Nook and is called Newton's Summer Vacation. For my one layer card I stamped the image and then the waves. I sponged in some very light sky and added the little birds (from Newton's Nook Flirty Flamingos). I added some Wink of Stella on the inner tube and then Glossy Accents. I'd like to enter this in the Inky Paws challenge at Newton's Nook - one layer. After completing the above card I decided to make another one - same design with a different image. I don't think this one is quiet as one layer though since I popped it up on the base card and added sequins. Besides that, the twine got a little squirrely looking in the photo! I still think it's cute though and will be a nice birthday card for someone. 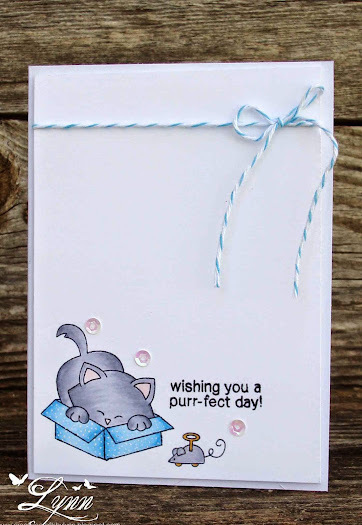 I used stamps from Newton's Antics on this card.